I say it a lot, but it needs repeating — there is nothing in the college track & field world like the Heps Championships! 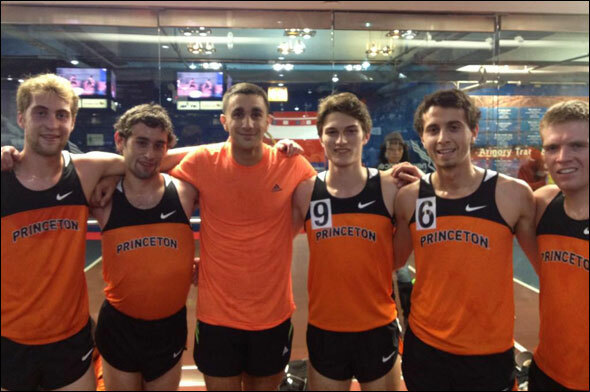 The Princeton men went 1-2-5 in the 5,000-meter run to pull back into range of a title. Michael Franklin and Chris Bendtsen delivered 18 points and suddenly the Tigers could be leading after the triple jump concludes. Not long ago Cornell’s team advantage had bulged to more than 40 points. Hang on to your seat… if you have one. It’s standing room only! This entry was posted on Sunday, February 24th, 2013 at 2:57 pm. It is filed under Heps Champs, Spotlight. You can follow any responses to this entry through the RSS 2.0 feed.